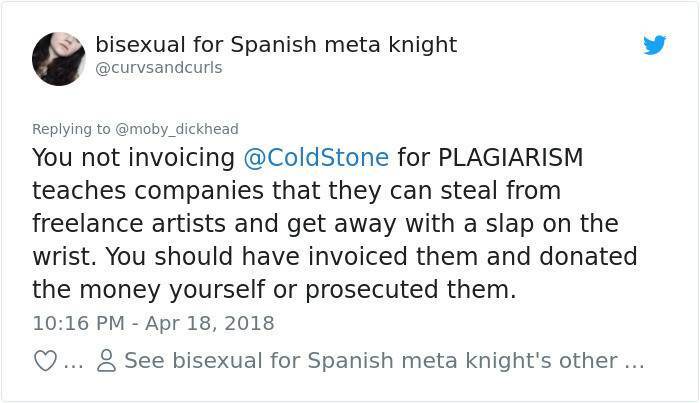 Nowadays it's hard to come up with your own unique ideas and that is the main reason why people love to plagiarise. 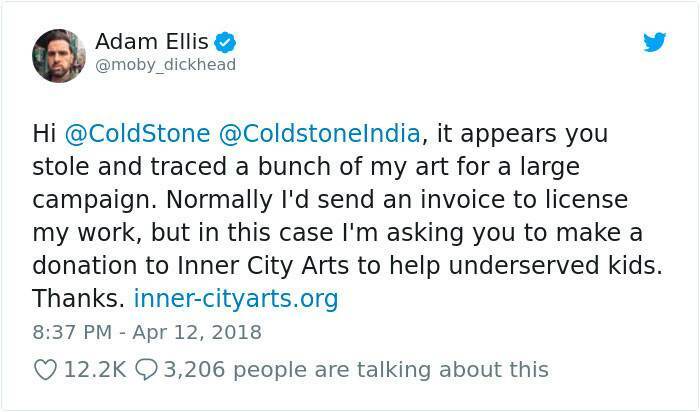 It's so easy to take something off the internet and say that it is your own work because the internet is so big probably not many people will recognize it. 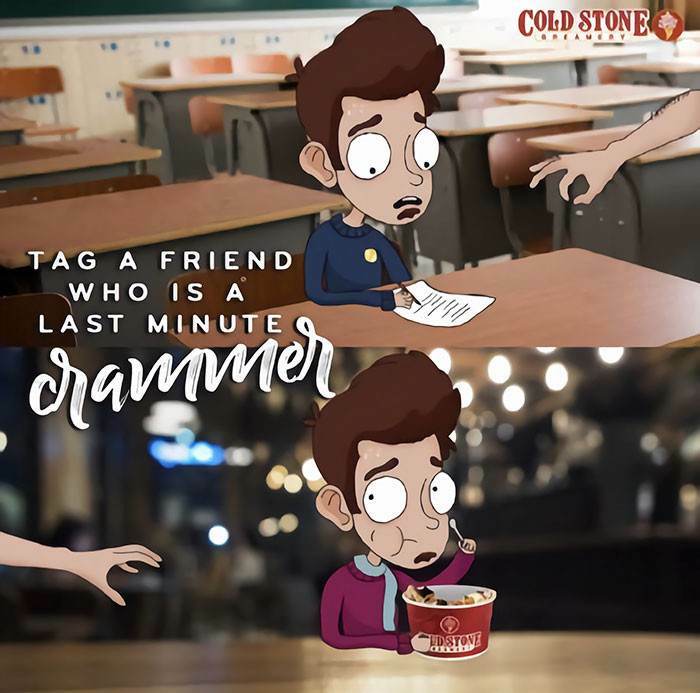 Unfortunately Coldstone an ice cream company got caught red-handed by the artist that they stole the art from. 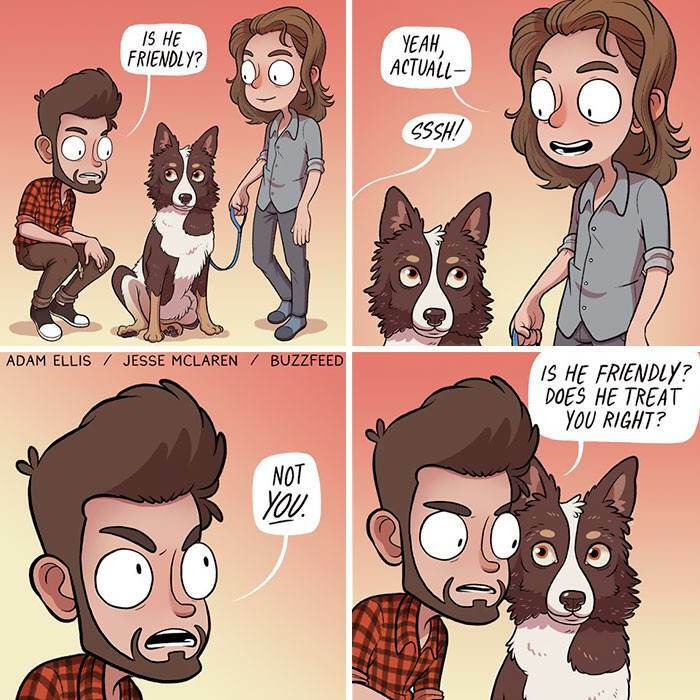 Adam Ellis is a former Buzzfeed employee that decided to resign to focus on his art, and he recently saw something that shocked him and shared it with us all on Twitter. 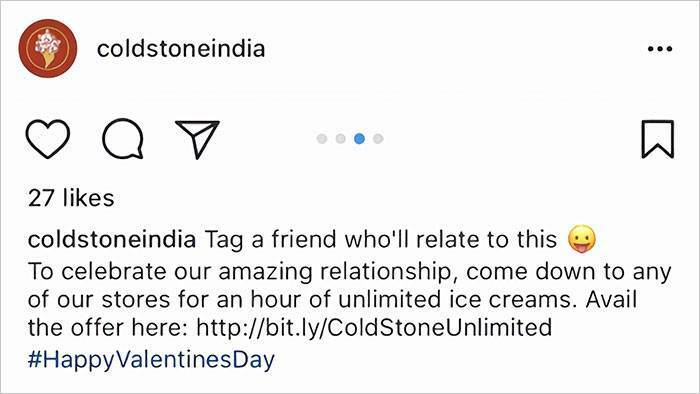 Coldstone traced and stole his art for their Instagram campaign for their Indian branch. Adam realized this and instead of taking them on in a formal setting he told the company to donate to Inner-City Arts, which is a place in Los Angelas where kids can go explore their creativity and ideas. 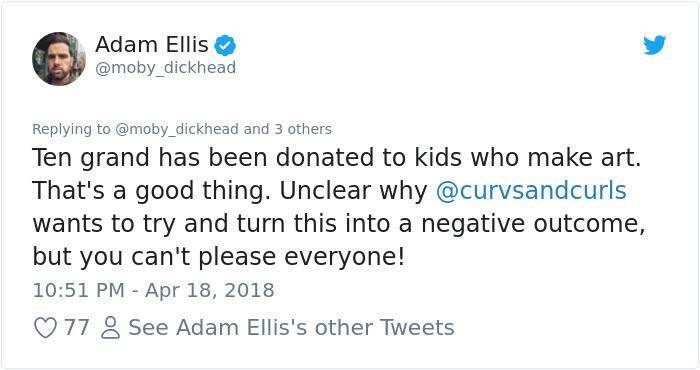 This was a wonderful idea and a week later the company came back to him and said they did donate the money, but this still didn't satisfy people on Twitter. 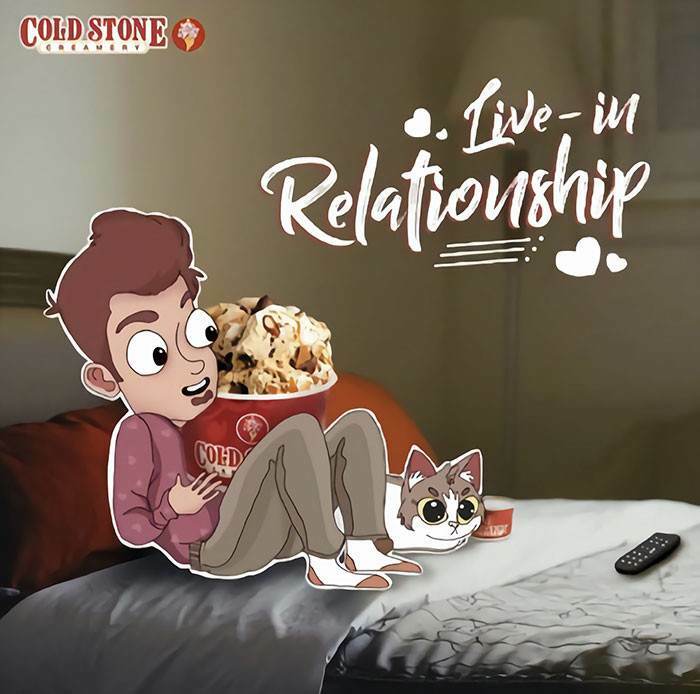 Scroll down to read the whole story on what exactly happened between Adam and Coldstone. 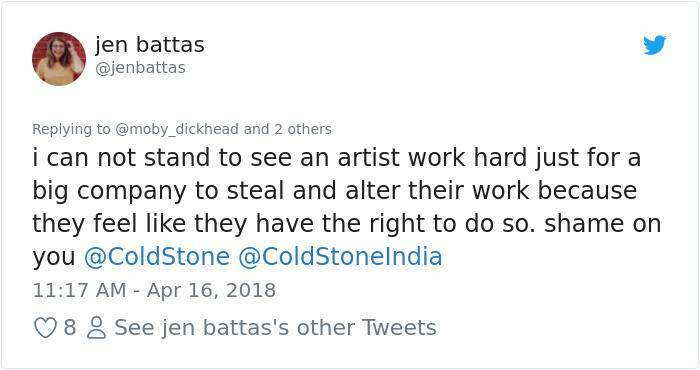 His art was plagiarised and he started telling his story on Twitter and urging Coldstone to make their wrongs, right. 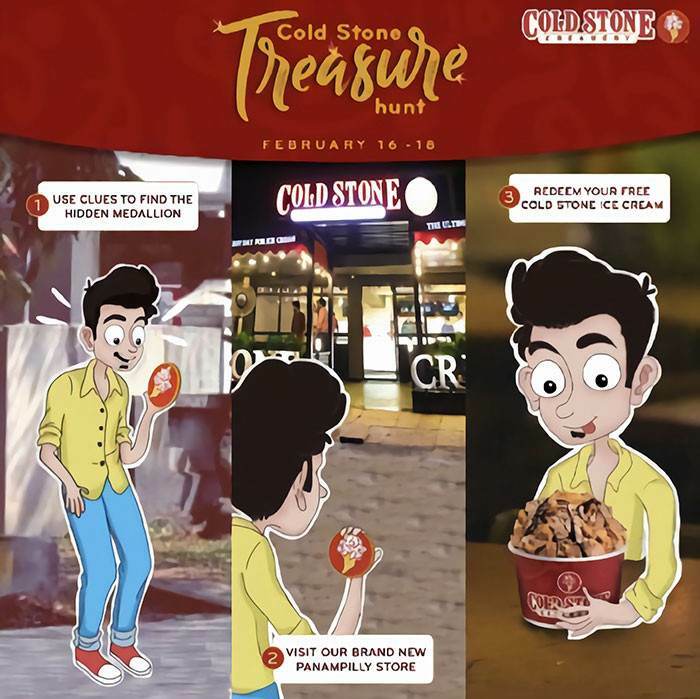 And now look at Coldstone's "art". 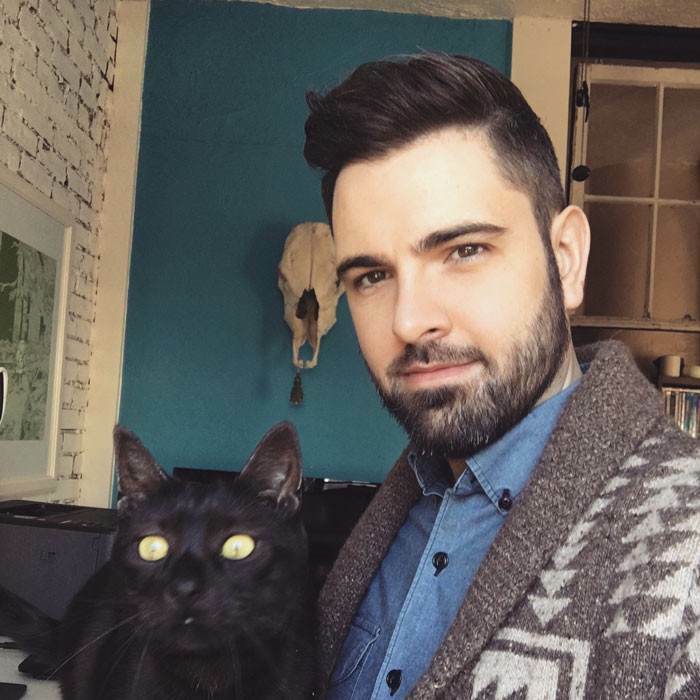 It looks exactly just like Adam's work, right? 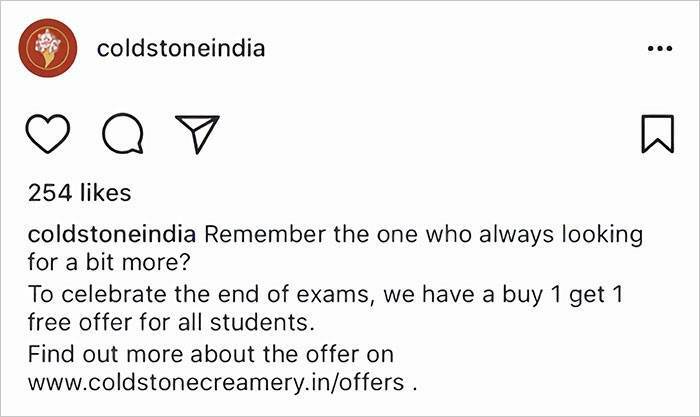 Did they really think no one would notice? 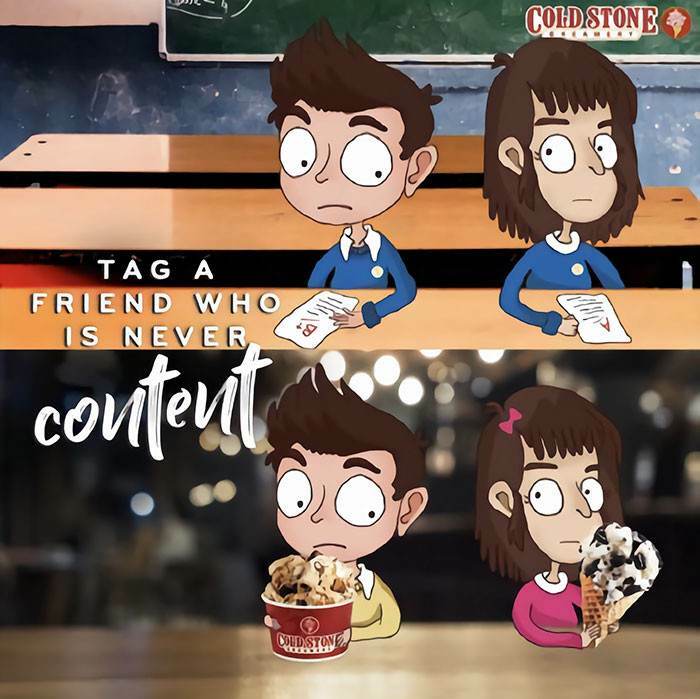 People were beyond furious that such a big company would do this. 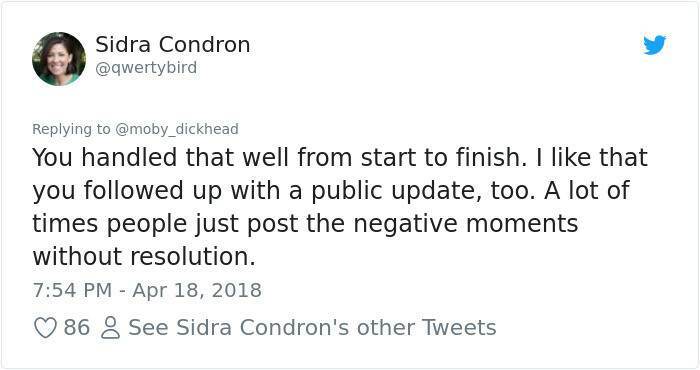 Then the best thing happened for Adam. 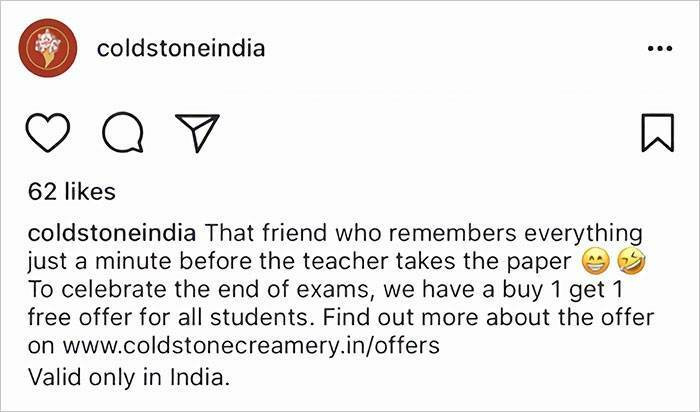 Coldstone decided to donate the money and he was happy about it. 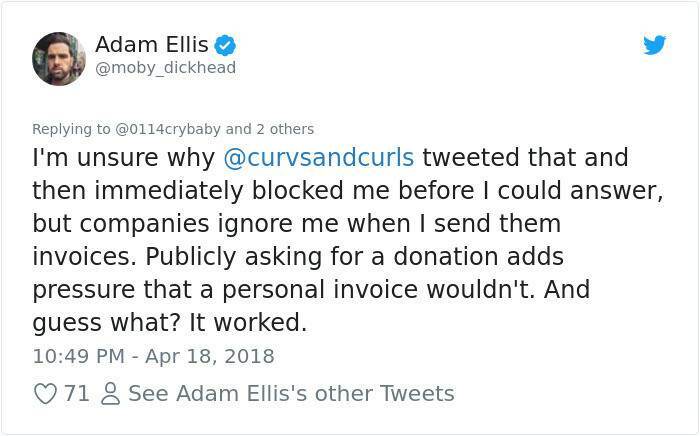 Unfortunately, there were people that thought Adam's way of doing things wasn't enough. 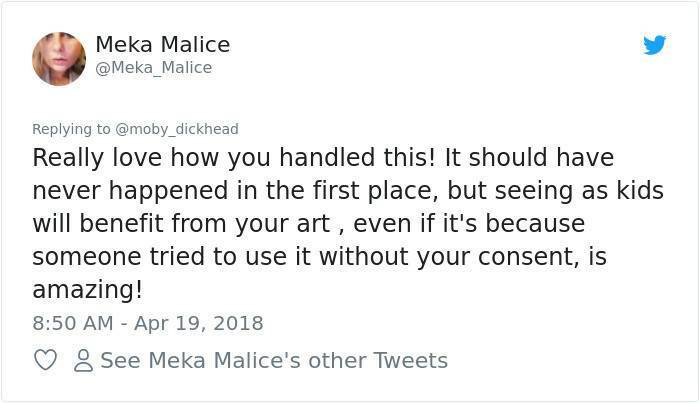 Adam responded to her tweet and set things right straight away. And then there were people who were true fans and thought he did the right thing.